When you’re testing and optimizing your site, it’s easy to get muddled in the process. With so many metrics and KPIs to consider, your head might be swimming trying to keep it all together. But when you know exactly what your data means, and how to interpret it, it can be the window into exactly what you need to do to work the kinks out of your ecommerce site. A lot of people focus on certain KPIs that you should be following, and while that’s great, it ultimately doesn’t mean anything unless you can translate those KPIs into actionable tips that you can implement immediately. They’re concrete goals that should guide you on your way. I’m going to go into each one and outline exactly how you can fix potential flaws that are driving down your conversion rate. When you have a particularly high bounce rate, it means that your site is getting visits, but those visits aren’t producing anything concrete because your user is leaving your site before even navigating to another page. That’s the worst, right? How do you transform this bounced user into a customer? The best thing you can do is understand why your users are bouncing from your site. A high bounce rate can be any number of reasons, but typically, a user will bounce because they determine right from the home page that whatever your site seems to be about just isn’t for them. The average bounce rate is 33.9% for an ecommerce site. Understand that if your bounce rate is significantly higher than this, there might be a big problem. 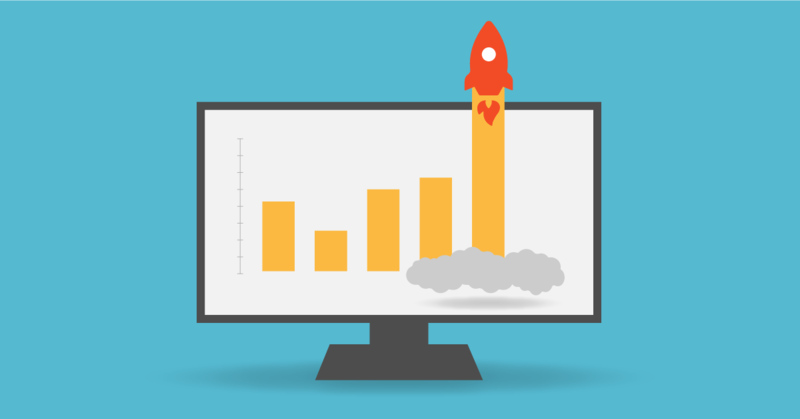 Your bounce rate ultimately tells you what the quality of your traffic is. For example, say you’re bringing in tons of organic or social traffic, but sales are just not happening and your bounce rate is through the roof. You need to ask yourself if you’re ranking for the keywords that are bringing in the right visitors. For example, if people are landing on your site from Google and aren’t purchasing, it means that your search terms aren’t bringing in the people who are looking to buy a product. It ultimately means that your SEO might be off, or you’re ranking for something that’s not particularly relevant for your site. This is where you need to get crafty. A/B testing can help you determine whether or not your landing page has issues, and a proper heatmap can show you how your customer interacts on your site. This could also be a question of questionable navigation. If your customers aren’t really sure where to go next, or something looks like a link and just isn’t, a frustrated customer could leave your site, never to return. Regardless of the reason, it’s time to test and understand exactly why this is happening. Once you know the reason behind the bounce, you can stop it in it’s tracks. Make sure the reason isn’t loading time for your ecommerce site (which you can easily check with Google PageSpeed Insights). Speed can be the ultimate conversion killer, and if that’s the reason for an unusually lofty bounce rate, you’ve got bigger problems. Mobile Optimization Issues: Why Discourage your Largest Browsing Channel? Mobile is a bigger deal than ever, and if you haven’t already optimized your site for easy mobile browsing, it’s time to get on that. Mobile browsing overtook PC browsing in 2016, making the growing trend of omnichannel shopping more concrete than ever before. Users are choosing to browse on mobile before purchasing on PC, which means you need a fluid UX transition between devices. Following this disruption, Google announced it’s Mobile First Indexing, where sites that are optimized for mobile and native mobile sites would get first priority in Google searches. While Mobile First Indexing will roll out slowly over this year and next, getting ready now does nothing but prepare you for the change. You know what absolutely kills all possibility of mobile optimization? Molasses slow page loading speed. Webpagetest.org lets you test a slew of different variables. You can choose the device you want to test, the browser, and the location. However, I’d also like to note that sometimes for popular tests, the wait time can be a bit long. 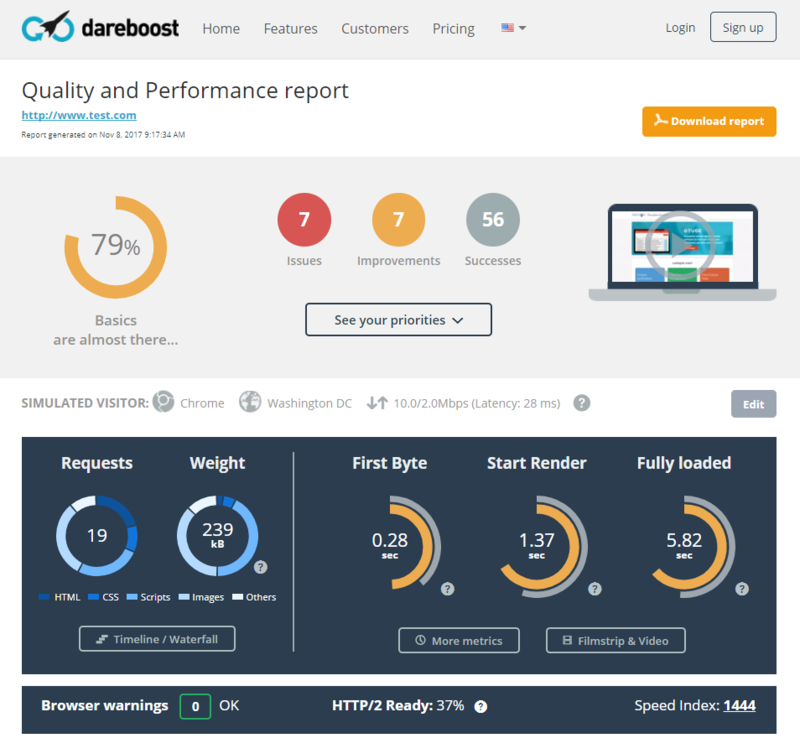 DareBoost also lets you test your site, and much like Google PageSpeed Insights, it gives you tips on how to fix what’s bogging down your site. While there are tons of things you can do to optimize your site for mobile users, speed is usually the first thing to fix. Once you get the loading speed and size of your page sorted, start working on creating a design made with mobile in mind. But maybe your bounce rate is low, and your site is mobile-perfect. Maybe your customers are dropping off somewhere in between landing on your site and purchasing. Discovery failure is when your customer navigates through your site, but ultimately never adds products to their carts. 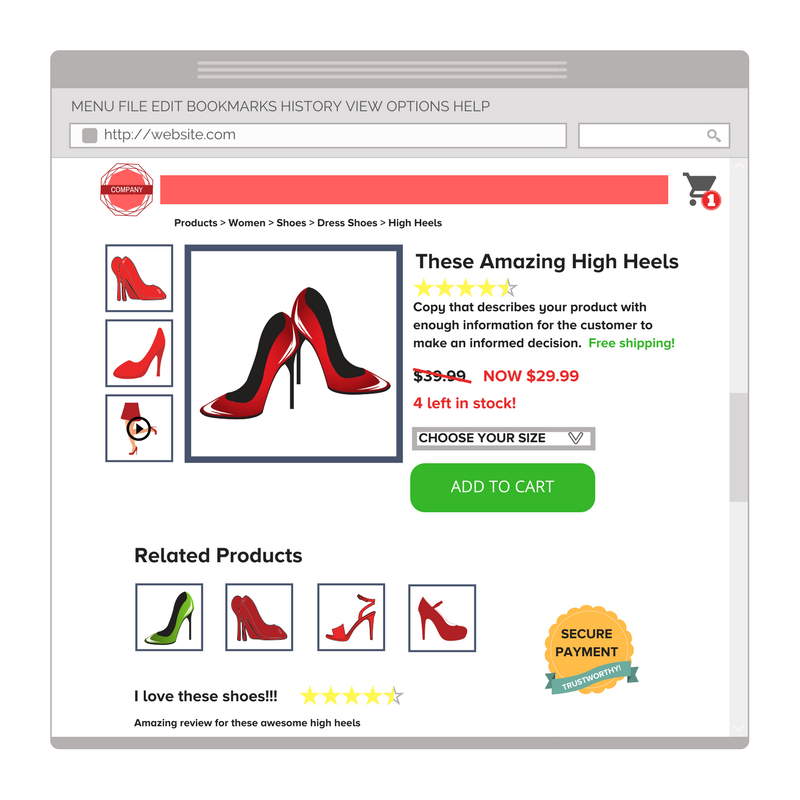 Something is discouraging your customer from even engaging with the checkout page, and that’s not good for your conversion rate. 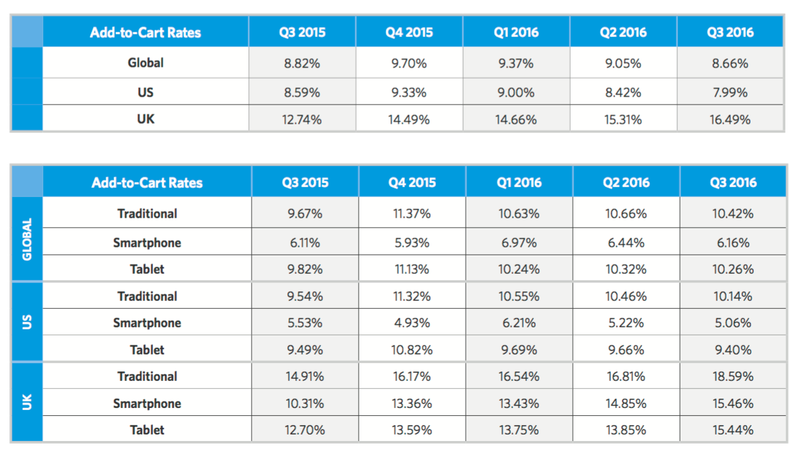 According to Smart Insights, the average Add-to-Cart rate is 8.7%. This means that 92% of your customers either bounce, or fail in the discovery phase. Divvit’s own data echos this table: 93% of our customer’s visitors fail during discovery. In this shot in particular, the failed discovery rate doesn’t look too bad, all things considered. However, there are a few channels where the rate is not only above average, but the conversion rate is pretty low too. The failed discovery rate by itself isn’t necessarily the only metric to look at, but combined with conversion and bounce rate, it can let you know that something might be wrong with your UX and navigation. Also known as “Browse Abandonment,” these window shoppers drive down your already typically low conversion rate. Why do customers leave a site before even adding anything to their carts? Like most reasons, there are tons of variables that can be the difference between conversion and a customer leaving your site. Product discovery failure can be anything from window shopping, to a navigation that discourages your customer from purchase. An unusually high browse abandonment rate could mean something a bit more serious than a simple case of “just browsing.” This could mean that there’s something wrong with your navigation, or that your customer couldn’t easily find what they were looking for. Your landing page isn’t the only thing to optimize: your product pages are the equivalent of your customers picking up and touching your product in a physical store. This is the bare bones of what you should have on your products pages (though you could add much more depending on your products and customers. This is in no way, shape, or form the perfect product page. What works best for your site and customers will completely depend on your testing. Your navigation should be clean and simple from A to Z. It should lay out the hierarchy of your site and follow a logical path. Using breadcrumbs on your product pages will display that hierarchy and allow your customer to navigate back to categories or filters that you’ve put into place. Also make sure that your internal search is functioning properly. You should account for misspellings and typos, and never show just a blank page if the search comes up empty. Always suggest other products that the customer might be interested (and obviously, related to the original search if you can). The best way to understand where the problems that cause failed discovery are is to A/B test everything. Not just for checkouts and landing pages, A/B testing can be the difference in several percentages of conversion just from changing your CTA buttons from one color to another. Testing is the best way to find your perfect product pages. This is far from a one size fits all situation, though the best practices definitely work for everyone. Cart abandonment is a huge subject in ecommerce: a whopping 7 out of 10 of customers abandon their carts. Unlike discovery failure, cart abandonment is when a customer demonstrates real intent to purchase by adding a product or even several products to their carts. However, something either goes wrong in checkout, or the leave your site before even starting checkout. There are plenty of reasons that customers abandon their carts: Sometimes they want to save the list of products for later, get an idea on the total cost or shipping costs, or simply gather the products that interest them into the same place. For customers like these, adding a wishlist feature is a simple way to alleviate the “save it for later” customers by allowing them to mark which products they’re interested in. As a bonus, it allows you insight into what your customer likes, and you’ll have the opportunity to email them later about their wishlists. For other customers, there’s a real obstacle between adding an item to their cart and making it all the way through checkout. For example, say a customer adds their products and they’re all set to purchase, but once they add in their address, they’ve got costly shipping that is more expensive than what they’d anticipated. Surprise extra costs is the top reason for cart abandonment, with 61% of US respondants saying that high shipping, taxes, and fees that are too high discouraged them from purchasing. Fix this by adding a cost calculator on your site so that your customers can estimate shipping based on their zip code. Also, don’t hide the fees. The more transparent you are with a customer, the more likely you are to earn their trust. 35% of customers said that a site forcing them to create an account was their reason for dropping off. There’s nothing more frustrating (especially on mobile) than getting to checkout and being forced to fill in a lengthy sign up form with multi factor identification including a blood sample to purchase a $10 item. This is also a super simple fix- offer guest checkout for customers who don’t want to go through the ordeal of creating an account, and sign in with a social account or Google can help streamline account creation too. Finally, 27% of customers say that a long, complicated checkout was their reason for abandoning products they would have otherwise purchased. Having a checkout that’s smooth, fluid, and without distractions can be the difference between a sale and a bounce. Be sure that your checkout is as simple as humanly possible, and reduce the amount of information that you need from your customer. It should be finished in three clicks or less (which is a golden rule, but can and should be broken when necessary). Also, make sure that your checkout is trustworthy. Offer plenty of payment options that your customers are most likely to use and incorporate trustmarks to let them know that you are who you say you are. Having your site under an SSL certificate and the handy https helps customers know that you take their data privacy seriously. And if all of that fails, there are always cart abandonment emails to bring your customer back into the fold. Regardless of what obstacle is preventing your customers from reaching the holy grail of the payment confirmed page, it’s not going to be a one-fix solution that will boost your conversion rate. It will take time and testing to make sure that your site is perfect for your customers. Using your data to see where your biggest hangups and flaws are will help you optimize your site and create an experience that keeps your customers coming back for more.